The Viking girls defeat McMinnville and remain undefeated with just next week's meet with Liberty left. 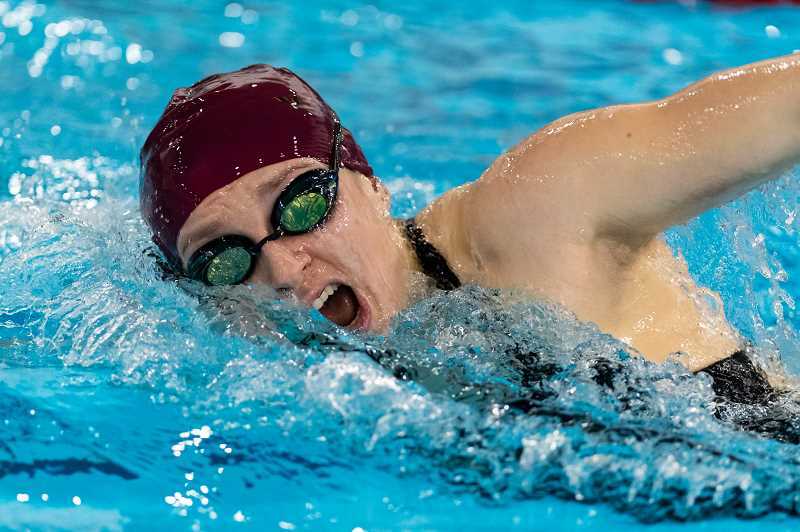 The Forest Grove girls swim team made history Thursday, Jan. 17. Well, not yet, but with their 101-69 win over McMinnville, the Vikings clinched the Pacific Conference dual meet championship and are just a win over Liberty away from the first undefeated season in the school's history. "It means everything and it's why we do it," said Forest Grove head coach Tabor Waterstreet. "It's why we put days, hours and pain in the pool, because you always want to make history. We performed exactly like I was hoping we would, and like we trained and prepared to. McMinnville was our biggest team to beat this year, so it feels pretty damn good." Senior Daphne Janko reiterated much of what her coach had to say, but added an element of surprise concerning the enormity of what could be in regards to an undefeated season. "Winning the dual league means a lot," Janko said. "Last year we placed seventh at state and I felt like that was going to be our shining moment, but I never expected us to be going undefeated this year, so it's exciting." The girls won nine of the 11 races and got standout performances from stalwarts, Janko, sophomore Brandy Urstadt, and freshman McKenzie Brennan, who won or were a part of all the Viking victories. "Daphne is tearing it up and she hasn't really had a lot of competition in her 500 so we haven't really been able to see her race that, but come districts it will be fun to see her race," Waterstreet said. "McKenzie Brennan is just phenomenal. Her 50's, her 100's and especially her 200 has been great. And Brandy is doing her thing." Janko won the 50 freestyle in a time of 25.32, and 500 freestyle (5:33.21). Urstadt took the 200 IM (2:18.41), and 100 butterfly (1:01.23). While Brennan finished with victories in the 200 freestyle (2:05.44) and 100 freestyle (57.66). In addition, the Viks got a win from junior Luci Brenner in the 100 backstroke (1:04.66) and won the 200 and 400 freestyle relays. On the boys side, a somewhat undermanned Forest Grove squad performed admirably, despite losing 113-56, getting wins in four of the 11 events. They were led by senior Hunter Bartoo and junior Levi Jorgensen, who tallied two wins a piece. Bartoo won both the 200 IM (2:10.19) and 100 breaststroke (1:06.08), while Jorgensen took the 50 (22.62) and 100 freestyle (49.96). Waterstreet spoke glowingly of both, speaking to the two swimmers' performance both on this night and throughout the season. "Hunter has been swimming great and really stepping up his game," said the coach. "And Levi has been tearing it up every time he gets in the pool. He's unstoppable right now. He's brought like three or four relays back for us from behind and is just hungry to get records. He's amped to get after it and is the most stoked I've seen him ever." Bartoo also lauded his and his team's effort, including a special tip of the cap to the girl's historic run. "What the girls have done has been great, and I feel like overall we did very good," he said. "I'm feeling really good. My events are coming together and I've been getting faster as the year's progressed, and so has everyone else. We're all pushing each other and we'll be ready for districts." Bartoo was one of six seniors, including Janko, Jordan Bohms, Amelia Garcia, Luke Patzkowski, and Jan Peeters Weem, honored as part of a "Senior Night" ceremony during the meet. Afterwards he said the moment was bittersweet, reminiscing about the countless hours he'd spent in the pool at the Forest Grove Aquatic Center while looking forward to what lied ahead. "It's really cool, and also scary to think that my high school season is coming to an end," said Bartoo. "I always look forward to the high school season. I've been with this team for four years, seen new people come in and people leave, so it's bittersweet." Now the team focuses on their final regular season meet at Liberty, with an eye on the district and state meets on the horizon. "We're where we want to be," said Waterstreet. "Obviously there are things we're still working at, but we're in good shape." Janko agreed and also added anticipation for what could be going forward. "Yes, I feel like we're peaking," she said. "I'm excited to see if we can set some school and district records." And how does her coach feel about the "records" of which she speaks? "The only reason records are there is to break them." 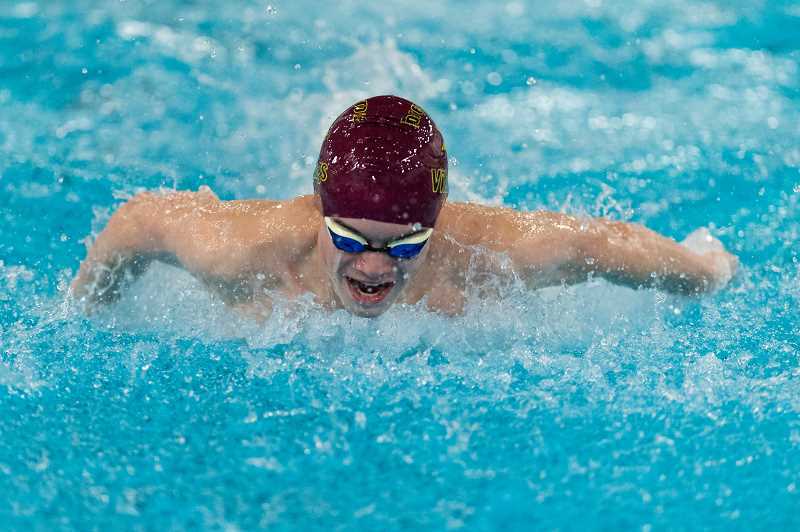 Forest Grove faces Liberty next Thursday, Jan. 24, at the Shute Park Aquatic Center and will compete in the Pacific Conference District Championships, Feb. 8-9, at the McMinnville Aquatic Center.